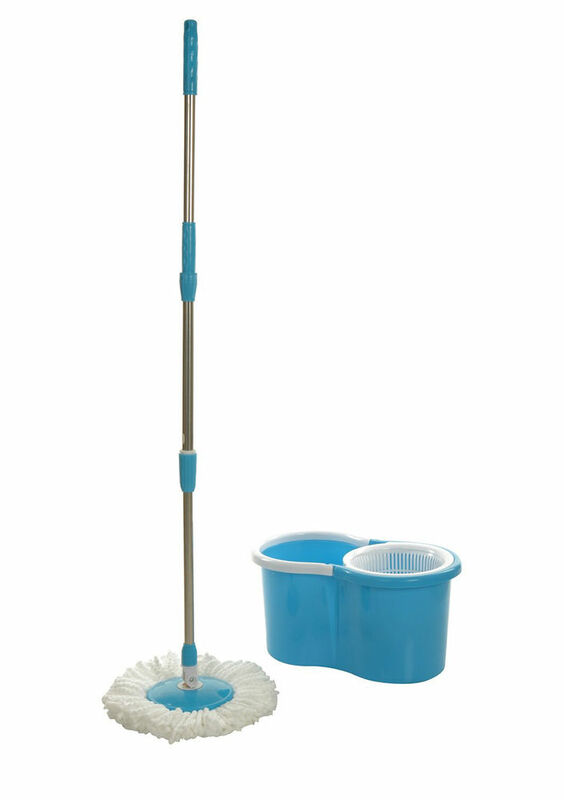 Eco Alpine Easy Spin Bucket Mop with Heavy Rod (Plastic Blue). 1) Eco Alpine brings wide range of floor cleaning Mops with steel and plastic rotating bucket parts, with and without wheels, pulley and soap dispening unit depending upon the model so browse all our models with all the colour variants before you buy. These mops are made by Virgin Plastic Material ,very good grade Micro-fibre is used in the refill, the pole material is also highly durable SS, so enjoy cleaning using Eco Alpine Mops with less Energy and also save upon your valuable time. Features 1)360 degree rotating bucket. 2) Height Adjustable Rod .3) Hand-press to spin dry .4)No electricity required 5) Light-weight and durable. 1) 1 Mop Bucket. 2) 1 Rod(Handle + Head ) .3) 1 Refill Microfibre .4) 1 Instruction Manual. Against manufaturing defects only. For which the customer needs to inform with-in 24 hours of the receipt of the product.